2014年5月より、日本や海外の新進アーティストの展示を通して、横浜を活気ある国際的な芸術都市にすることを目標にギャラリーを企画運営しています。これまでに国内は横浜／東京エリアだけでなく日本の様々なエリアから、海外はアメリカ、南アフリカ、ヨーロッパからのアーティストの展示を開催しました。これからもその範囲を広げていきたいと思っています。興味を持ったアーティストにこちらからアプローチする時も多いですが、アーティストからアプローチされた場合は作品を見せていただきながら相談させていただいています。展示期間は金土日月の13:00～19:00を２週分、日数合計は８日間になります。 当ギャラリーは日本で一般的な貸しギャラリーではありません。私たち自身がアーティストであるため横浜／東京アリアで個展を開く経済的負担の大きさを知っています。LAUNCH PAD GALLERYの第一の目的は予算の心配を減らし、アーティストにコストのかからない発表の場を提供することです。作品やグッズの販売していただき、そこから手数料をいただいていますが、売上の大きな部分はアーティストに還元されます。DMなどの広報物のデザインや翻訳が必要な場合は手頃な価格で提供しています。展示の広報は主にSNS、プレスリリース、広報物の配布で行っています。横浜のアートシーンやコミュニティーをはぐくむために他のギャラリーや団体と合同展などで協力しあっており、今までにi23、関内外OPEN、Photo Yokohama 2017や横浜トリエンナーレなどのイベントに参加しています。また、ギャラリーをアーティストトークやワークショップ、パフォーマンスアート、短期のレジデンシースペースなどとしても利用できます。 すべての作品媒体、様々なメッセージなど幅広いジャンルのアート／アーティストに興味があります。当ギャラリーの趣旨に賛同してくださり応援してくださるアートコレクターや協賛者とももっとつながりを持てたらと思っています。よかったら私たちにアイデアをお聞かせください。 最後になりましたが、LAUNCH PAD GALLERYに興味を持っていただき、誠にありがとうございました。 Since May of 2014, our goal has been to assist in making Yokohama a vital international art city by organizing exhibitions with emerging artists from Japan and abroad. We hold exhibitions with artists from the Yokohama/Tokyo area as well as from other areas of Japan. Internationally, we’ve held exhibits with artists from various parts of the United States, South Africa, and Europe. We are hoping to expand our range even further. Typically we approach artists we are interested in or if approached, we hold an interview and review of the artist’s work and work out the details. Currently we operate Friday through Monday from 1:00pm to 7:00pm and the length of an exhibition lasts two weeks. 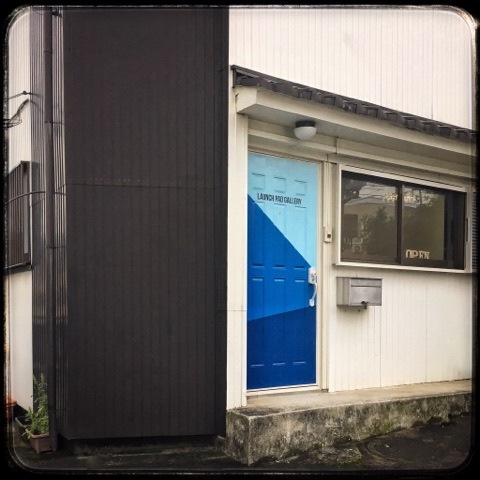 Our business model is a bit different than many galleries in the Yokohama/Tokyo region. We do not rent our gallery space which is usually the normal way for artists to exhibit. As artists ourselves, we know the financial burden that holding a solo exhibition can be in this area. Our number one priority is for artists to be able to exhibit their work with as little expense as possible. We do take a commission from any art or items the artist sells, with the larger percentage going to the artist. If the artist needs help with design of promotional materials or translations we are able to provide those services very reasonably. We help promote exhibitions primarily through an active social media presence, press releases and distribution of materials to other galleries and museums in the area. We have collaborated with other galleries holding joint exhibitions in order to foster a sense of community within the Yokohama art scene. We have participated in larger events such as i23, the 2014, 2015 and 2016 関内外Open, Photo Yokohama 2017 and the Yokohama Triennale. We also make our space available for artist talks, workshops, performance art and occasionally as a residency studio. We are always interested in artists of all mediums and messages. Furthermore, we are looking to forge more relationships with art collectors and patrons who would like to help us enhance and expand what our galleries goals and values are. Please contact us anytime to discuss any ideas. Thank you so much for your interest in the Launch Pad Gallery.